Public establishments, from cinemas to offices to concert halls and beyond, are all required to have evacuation lighting installed and maintained. 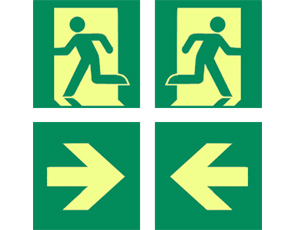 To ensure that people can quickly and safely exit a dangerous environment it is imperative that exit and emergency lighting systems in your workplace are correctly working. 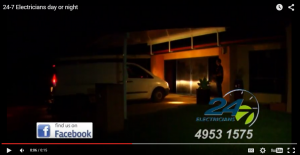 To conform to Australian Building Codes, exit and emergency lighting installed in public buildings must be maintained to current Australian Standard AS/NZS 2293:1995. Australian-New Zealand Standard 2293.2:1995 sets out periodic inspections and maintenance procedures essential in ensuring emergency evacuation lighting systems are in a state of readiness for operation at all times. This applies to both central and single point emergency lighting systems. Most installations are comprised of a single point design which incorporates exit and emergency lighting. 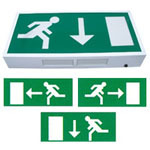 All existing exit and emergency lighting shoud be labelled so they can be identified for testing and recording of individual results. Light illumination must be maintained for 90 minutes to record a pass. All records of repair and maintenance must be kept and recorded on the relevant premises. Personnel must replace lamps regularly to maintain the system. This reduces costs of testing and keeps a working installation in great condition.